The Scrappy Genealogist: MGP 2 - My Chapter 1 Homework Thoughts and My GPS Bad! MGP 2 - My Chapter 1 Homework Thoughts and My GPS Bad! This post is part of DearMyrtle's Hangout on Air series, MGP2 Study Group 2, studying Mastering Genealogical Proof by Thomas W. Jones. I am one of the 'hangers' for MPG2 (with the exception of March 2), my first experience participating live in a Google Hangout. Hangouts are every Sunday morning at 10:00 AM Eastern US time. Join us to learn more about the discipline of genealogical work and how adhering to its standards will improve your family history results. Your family will thank you. As a hanger for Study Group 2, one of my responsibilities is to post my completed homework for each chapter. Because the answers are found at the end of your book, I will not post them (which would also violate copyright), but will post my thoughts about each question. If you have not already done so, I highly recommend you purchase and use this text. I am not being compensated for my endorsement, although I am enjoying the benefit of the author's wisdom. Three times previously I have been lucky to learn with Dr. Jones in person, once during the Boston University genealogical certificate class in 2009, once at the Salt Lake Institute in 2013 and once during a New England Association of Professional Genealogists program. Mastering Genealogical Proof brings Dr. Jones' expertise to you at home. The Chapter 1 MGP 2 Study Group 2 Hangout aired on Sunday, February 23. My Chapter 1 Homework Thoughts and My GPS Bad! Genealogy as a research field necessarily relies on multiple disciplines. In order to accurately reconnect lost or forgotten individuals and relationships of all types, places and time periods, we might need expertise in understanding records from the fields of genetics, linguistics, cartography, history, sociology in addition to a myriad of other areas. In one lifetime, we cannot achieve expertise in all of the many fields necessary. When we don't possess the skills necessary to complete a piece of our genealogical research, call on an expert in that area. My GPS bad! or Don't omit the sources! One recent blogging activity I have undertaken is posting each week about one of my ancestors. The question I have been pondering is whether or not or how I should be forming these posts. What I have done to date is indicate the placement of my source citations, but I have not included the actual sources. Yes, I know, big bad genealogy faux pas! My faulty thinking was that anyone who would like more information (hopefully possibly cousins) would contact me and create a new connection. Here is a thought for all of us to ponder. What happens if we aren't here to answer our blog's email questions. Posting or writing our research conclusions without including accurate and complete citations quite clearly does not meet the demands of the Genealogical Proof Standard. If it doesn't meet the GPS, it loses both its credibility and its usefulness. There are 5 parts, not 2, not 3...5! In order for a research question to meet the proof standard, it has to meet all five parts. If we write a beautiful argument about why our John Smith is THE John Smith, but we haven't looked at all of the possible records, it isn't a proof. If we have done ten years of back breaking research, but we haven't written even a statement demonstrating our conclusions, it isn't a proof. If we have meticulously recorded the citations for all of the sources we have gathered, but we haven't analyzed it for accuracy or extracted and compared all of the information against that previously found, it isn't a proof. What Happens if We Find Conflicting Information? It's not a matter of if, it's a matter of when. We will find conflicting evidence and it is up to us to analyze the source in which we found it. We need to ask questions about why the source was created, who created it, who gave the information it contains and possible explanations for inaccurate information. We also need to consider the possibility that the source is reliable, that the reporter was reliable and compare the information contained against our other evidence. Remember too, we cannot all be experts in every field. If we are unfamiliar with the source type or field from which the source originates, ask for assitance in determining its reliability and understanding its information. 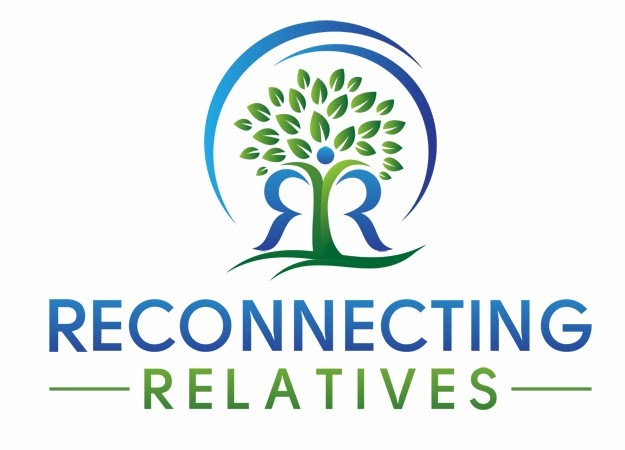 All genealogical research starts with a question about an individual's life and/or one of his or her relationships. Every time I research a new question, I open a new document and type the question in a big, bold font at the top of the page. It helps to keep me focused on the task. This document becomes invaluable when completing the fifth element of the GPS, a written explanation supporting your conclusions. Chapter 1 was an informative introduction to Mastering Genealogical Proof. My homework response is my interpretation of what it contained. Please, order your own copy and start learning along with us. Let me know if you do. Jones, Mastering Genealogical Proof, 1-6. This was really well done, Jen! Thanks! Thank you Linda! Please do listen in and give us feedback. We all appreciate it. This is meant to be a learning conversation.